Brian Peck (inset) allegedly told police that he dumped part of his mother's remains near Montrose Harbor. 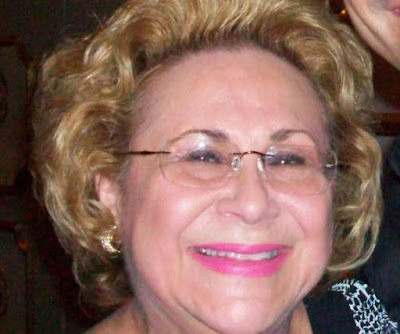 Police today scoured the Lake Michigan shoreline near Montrose Harbor after a suburban man told them that he dumped part of his mother’s dismembered body there last week, authorities said. 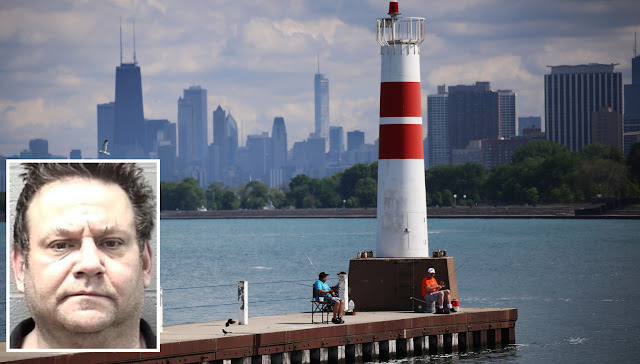 55-year-old Brian Peck of Elgin killed his mother, dismembered her body, and dumped part of her remains into a lagoon near the Lincoln Park Zoo because she complained that he played his music too loud, prosecutors said. He is charged with premeditated first-degree murder, first-degree murder and concealing a homicide in connection with his mother’s death. A handsaw was found with 76-year-old Gail Peck’s torso and legs in a duffel bag that fishermen recovered from the Lincoln Park rowing channel near 2300 North Cannon Drive on Saturday morning. The rest of Gail Peck’s remains have yet to be recovered. Elgin police said Peck killed his mother early last Wednesday after she complained that he was playing his music too loudly in the home that they shared. He allegedly battered his mother to death and dismembered her body in a bathtub. Peck filed a missing person report 3:30 p.m. Friday, saying that his mother went for a walk with her dog but she never returned home—but the dog did. Elgin authorities launched an extensive search for Gail Peck, using dogs, all-terrain vehicles, drones, a helicopter, and community volunteers, police said. The search was called off on Saturday morning shortly before Gail Peck's remains were discovered in Lincoln Park. Brian Peck had a history of violence against his mother, according to prosecutors. He received a 100-day sentence after pleading guilty to threatening her and putting her in a chokehold in March 2016, court records show. He has been ordered held without bail.